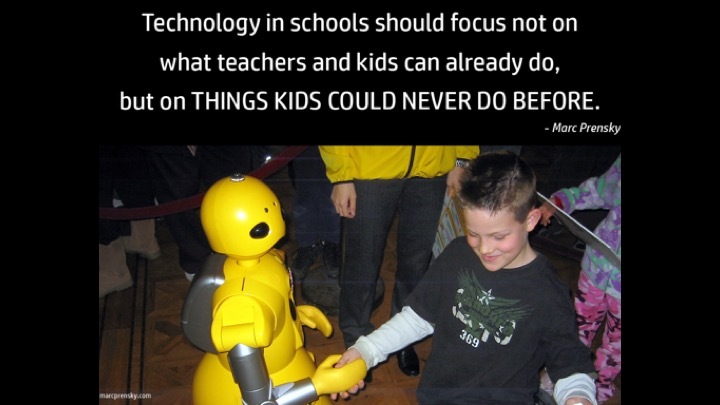 Sadly, most uses of technology in our classrooms today are for things we could already do before. What a waste! Although it may have been more difficult, we were perfectly capable, before today’s technology, of searching, writing, researching, calculating and watching moving images. That we can now do these things in new ways brings relatively little that is new to education—which may be why so many teachers resist using technology for these traditional academic tasks. Yes, the modern ways are faster and better for those who know how to do them, but they are little different in their essence, from what we did before. The underlying principles remain the same. I call those uses of technology “trivial.” Not necessarily trivial in what it takes to physically do them—there can be much complexity in a word-processed document, or an Internet search or a spreadsheet model; and there can be intellectual work and rigor as well. They are trivial technology uses in that they are nothing new—all of these are skills we know about and taught before. Contrast that, if you will, with the kids of things that students could never do before. They could never before connect face-to-face, in real-time with people outside the classroom, whether peers, or experts. They could never before post a question and get answers and perspectives from peers around the world within a day (or even hours). They could never before survey hundreds of thousands or even millions of people on an issue. They could before never create an app that solves a real-world problem (such as finding a safe-non-bullying seat in the cafeteria) and instantly share it with all their classmates and the world. They could never before create a simulation of a complex machine, or process, or of the behavior of people, and make predictions from it. They could never before create something that millions would see and comment on (such as a viral video). They could never before not just design, but build a robot to do a useful and dangerous task. 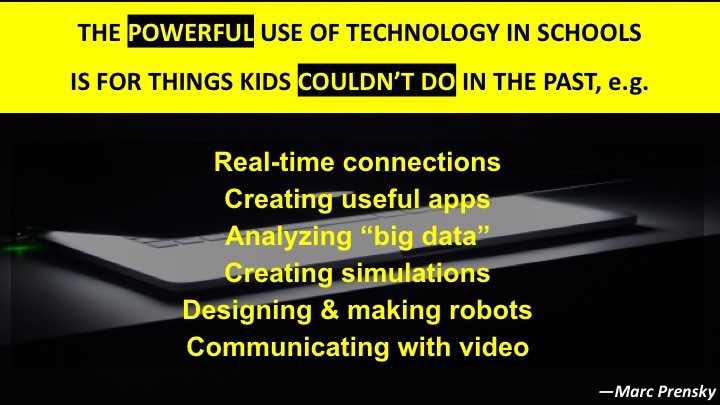 Now, with technology, kids can do all these things and much more. 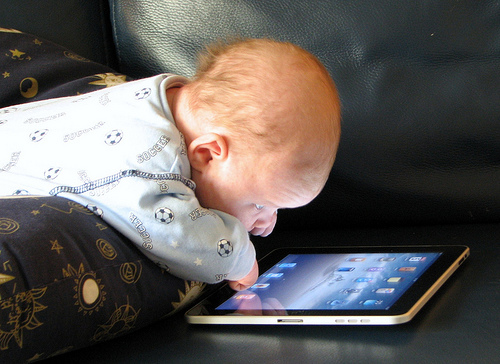 It is important , first, that our kids think about and understand their new powers (even if they haven’t, as yet, fully developed them), and second, that all kids get to use their new technological capabilities as often and as powerfully as possible—in service of things that are useful both to them and to the world.